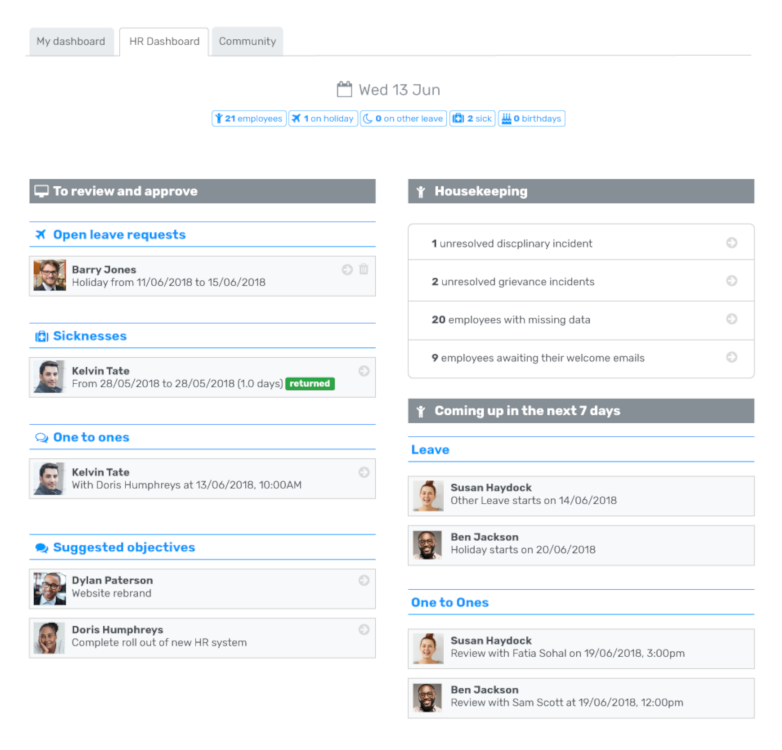 Get started with your 14 day free trial and transform how you manage your employee admin. Breathe puts you in control of employee and company expenditure. 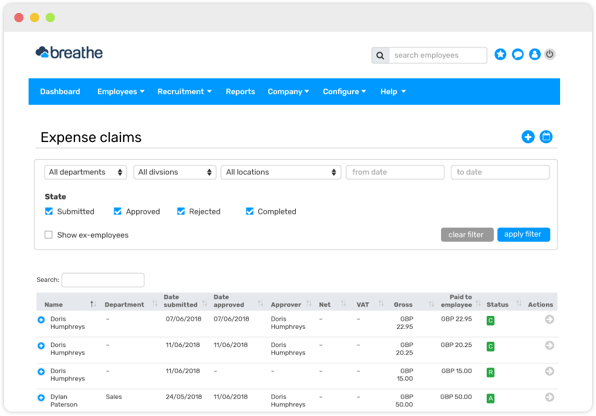 With an online expense management system, it’s simple for employees to submit claims, and for managers to approve and track claims at the touch of a button. 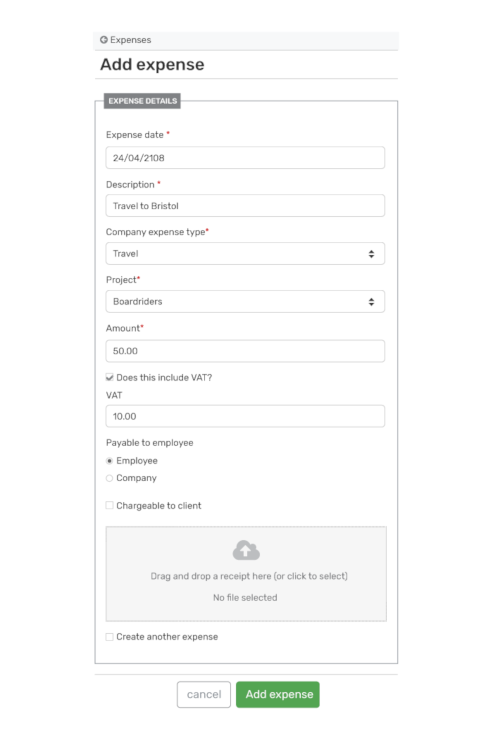 Once approved, expense claims can be submitted to accounts for payment with a one click process. Breathe gives you a clear-cut, efficient way of managing expenses. What is online expense management software? Expense management software is a streamlined online system for submitting, approving, managing and reporting on company expenses. It is designed to provide a seamless flow of data, increase visibility of expenditure, improve expenses compliance, and accelerate the expenses process. Breathe’s online expense management software gives you ultimate control over business expenses. 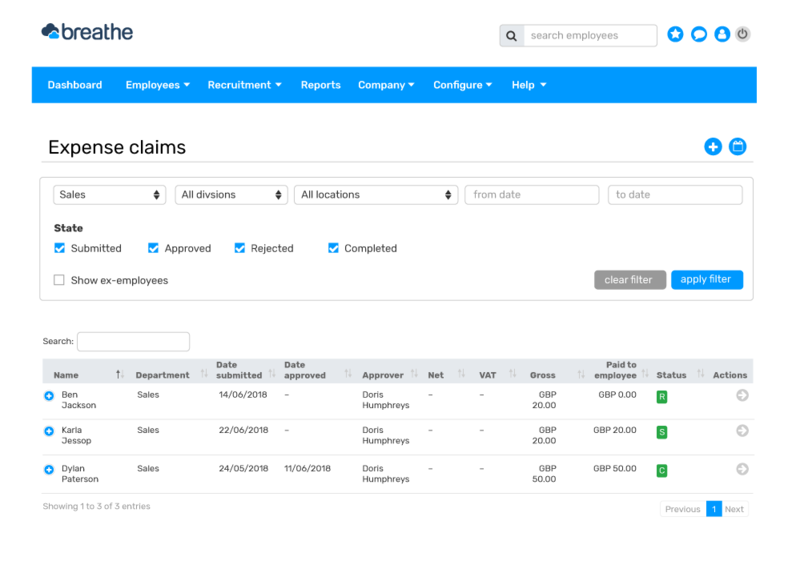 Employees can input claims online, upload receipts and submit claims for approval in a matter of minutes. The approval process is easy. 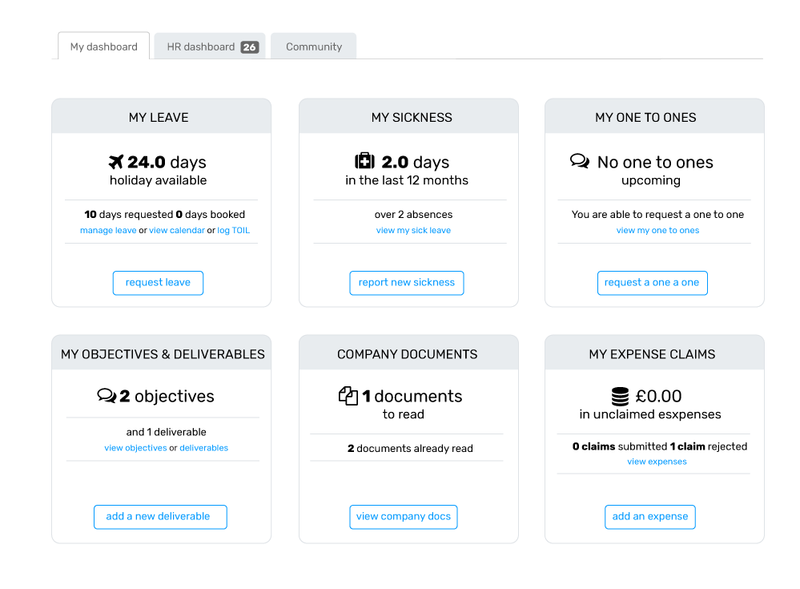 Managers are automatically notified of submitted claims and can approve or reject expense claims at the click of a button. The easy-to-use Breathe expenses management software keeps the processing of expenses streamlined and simple. 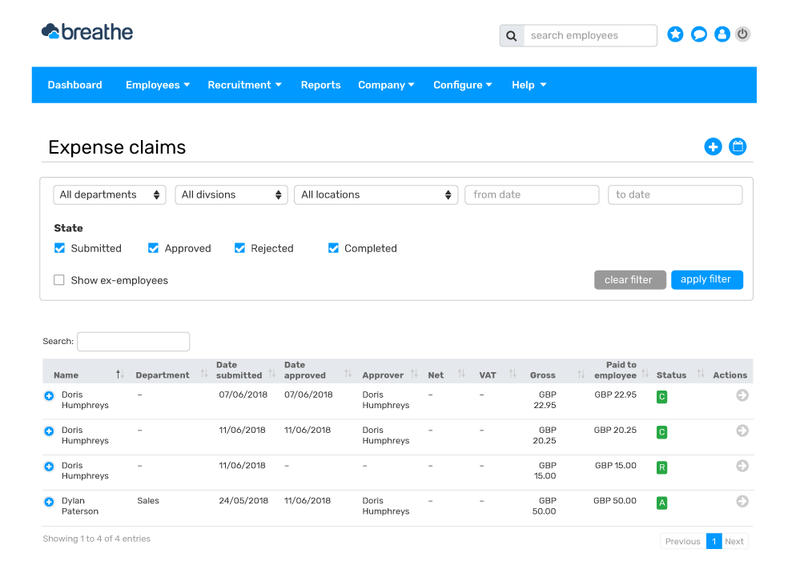 From the HR dashboard employees can start a new expenses claim, see at a glance anything that is outstanding, and in a click view their expenses history. Calculating car travel expenses is easy with pre-set mileage rates. Employees can effortlessly record and submit expenses at anytime. Mileage can be quickly calculated and uploading receipts is easy. Employees can simply take pictures of receipts on their phone and upload. Breathe keeps everything organised and there’ll be no more lost receipts. Moving your expenses management process online creates a quick and easy approval process for your managers. Claims are easily viewed, along with receipts, and can be accepted and approved, or rejected with the option to add a comment. Automatically generated emails keep everyone informed throughout the process. Claim approval couldn’t be simpler and reimbursement time is drastically reduced. Enforcing your expenses policy couldn’t be easier than with Breathe. There’ll be no more confusion about allowable expenses and spending limits, increasing employee accountability. With Breathe you are able to monitor expenses against specific projects or clients, keeping you in complete control of monitoring budgets and project expenditure. With our online expense software you’ll have access to reports by status of expense claims, by project, department, division, or location. You can also download information to excel in an instant. Effortless reporting with Breathe keeps your finger on the company expenses pulse like never before. You’ll easily be able to identify expenditure trends. "Easy to use but has huge scope. Thank you!"